It’s now three weeks since the accident with my fingers and it seems that one is OK and one is not. The third finger of my left hand that was cut has healed, the village doctor here in France has taken the stitches out and apart from looking a bit red now it seems to be doing fine. I suppose it will take some time for the nerves to heal and the sensation to come back in it but that was to be expected. Stitching the piece back on the other finger hasn’t gone so well, it has turned black and it’s pretty obvious that it is dead. I’m only waiting to get back to Turkey to have the surgeon look at it and I’m expecting to lose the last joint of that finger. Bugger! 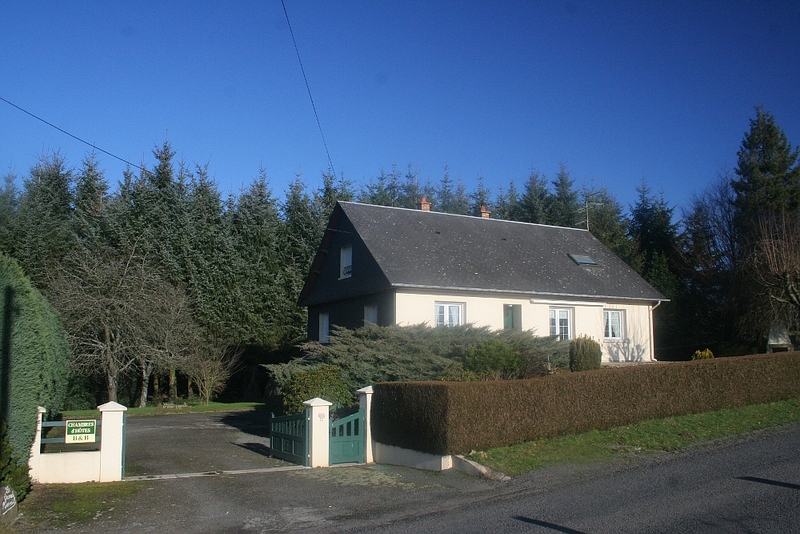 There is a lovely bed and breakfast / chambre d’hote place here in Normandy called Le Grand Mesnil in a place called St Bomer les Forges. If you’re ever in or around Normandy it’s well worth staying at. 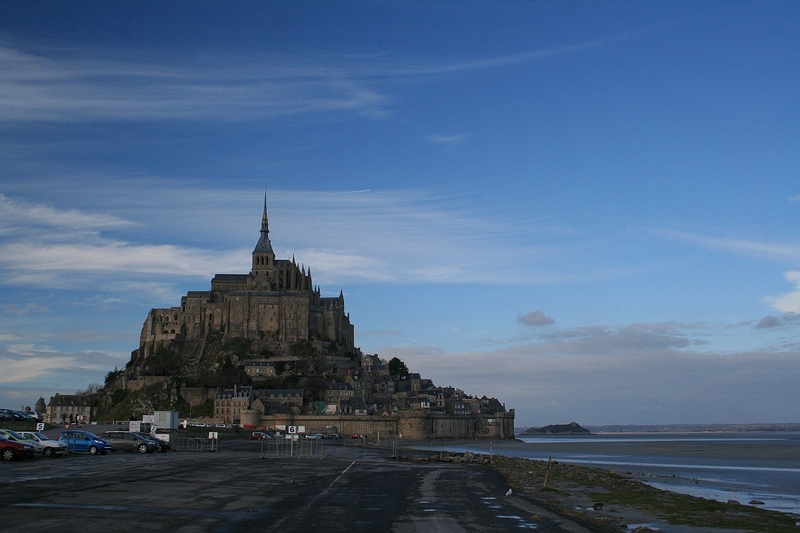 There are plenty of places to go and see here, one of the most visited is Mont St Michel, a monastery situated on an island just off the coast at the mouth of the Cousenon river near the town of Avranches. Apparently it is the most visited tourist place in France. In summer it is extremely busy but at this time of year there are no crowds. We visited the abbey at Lonlay L’Abbaye, I was intrigued by the carvings under the pew seats. Some of the pews had a high back and a lift up seat so that people could stand and lean on a ledge sticking out from the bottom of the seat. 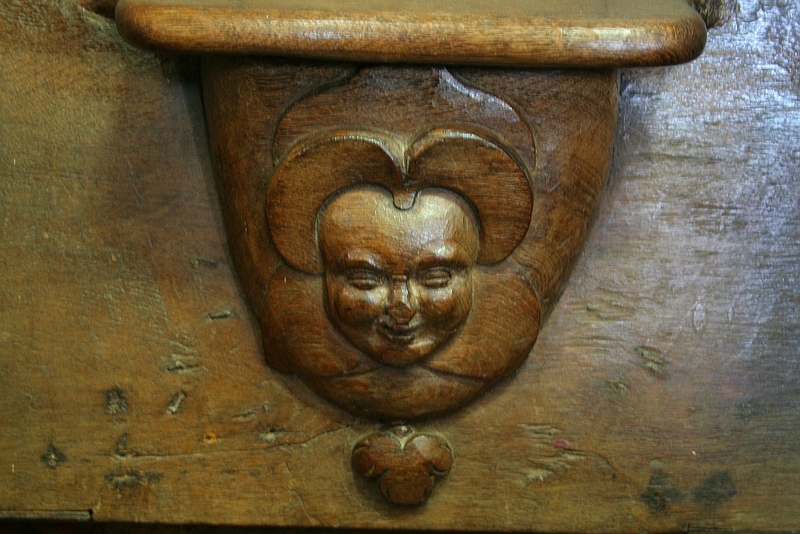 This ledge was supported by a carved wooden wedge, the carvings depict various designs and faces, this one is a smiling village woman, possibly the woman who used that particular pew? 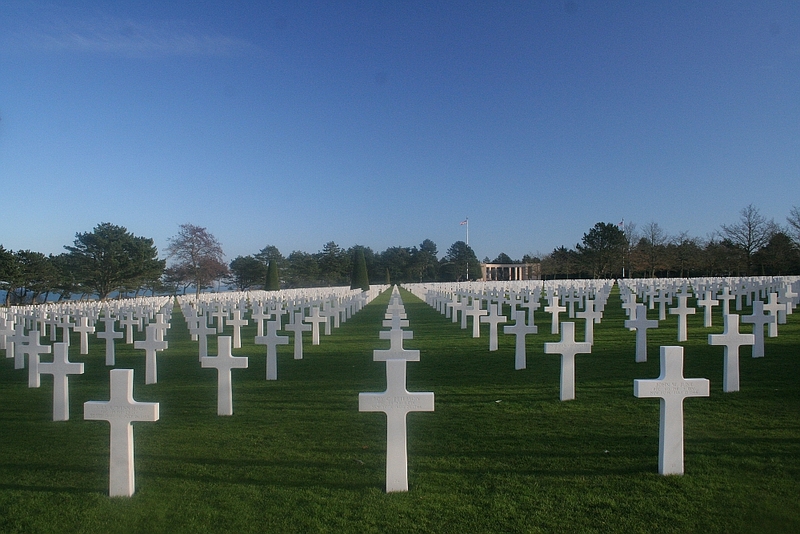 One of the things Normandy is best known for in England and America are the D Day landings of World War 2. The landing beaches. Sword, Juno, Gold, Omaha, Point du Hoc and Utah are interesting places to go and see, it is easy to imagine the hundreds of ships discharging the troops in the effort to bring the war to an end. There were thousands of casualties too and this photograph of the American cemetery overlooking Omaha beach is where a small percentage of them lie. Very upsetting and painful couple of days just passed. The goatherder’s dogs came into the garden on Wednesday morning and of course my two wanted to go and see them. Minnie was no problem because she wasn’t on a lead anyway but when I took off Wilf’s choke chain he lunged forward and started to run off. Unfortunately just about the time he reached top speed I realised that he had the rope around his chest and was pulling hard at it, two of the fingers of my left hand were still in the loop of the choke chain which inevitably tightened ripping off part of my middle finger and causing a cut down to the bone on my third finger. After dancing around in agony for about fifteen seconds I noticed the ripped off part of my finger lying on the veranda so I picked it up and phoned a friend who very kindly came and took me down to Kaş to the doctor. I spent an hour or so getting my third finger stitched up there and then we went to the hospital about five hundred yards away and got the other finger repaired with the bit I’d picked up. I agonised overnight and decided that Wilf would have to go to the animal shelter in Ağullu and took him there yesterday. I’m really upset about doing this because I love him but he’s now caused three serious injuries and shows no sign of calming down. He rushes down to the gate and scares all of the locals who walk past my house, sooner or later someone is going to complain to the Jandarma (village police) and they will have him shot. He’s already been poisoned a couple of times but I managed to get some yoghurt into him and neutralise it before it killed him so I think he is now in the safest place for him. Minnie is still with me but I’m sad about Wilf and hope that my injury heals well although I doubt that I’m going to be able to play the guitar for a long time if ever. Having said that Jango Rheinhart did alright with only two and a half fingers didn’t he? 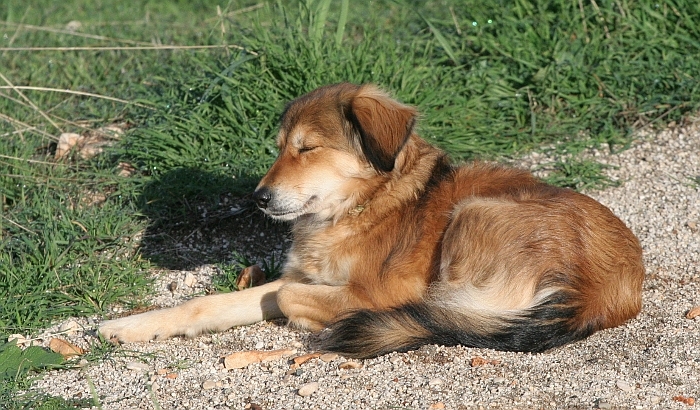 Here’s a picture of Minnie enjoying some warm sunshine on New Year’s Eve. 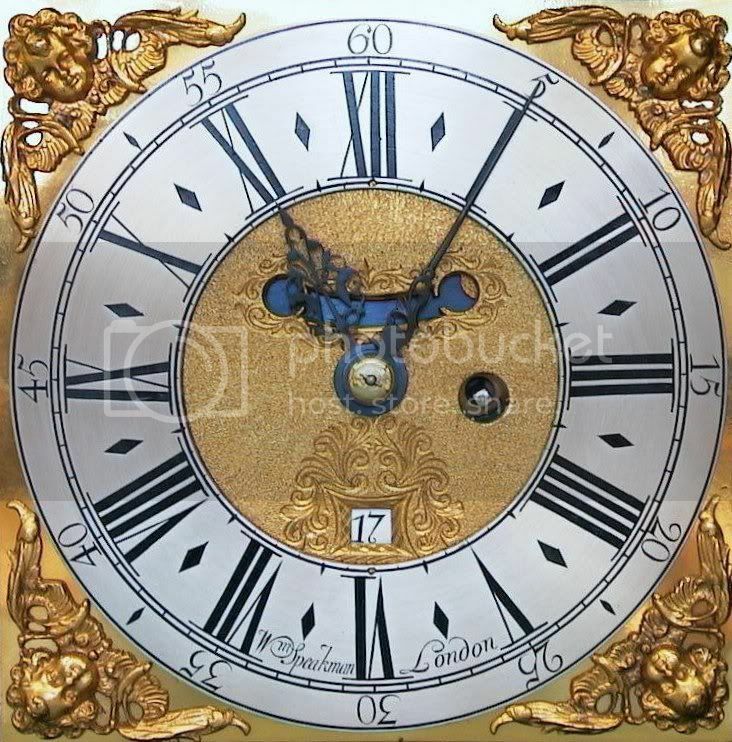 Happy New Year to everybody, I hope it brings everything you wish for. I was surprised today when a friend phoned me to say that there was a solar eclipse occurring, just goes to show how far off the pulse my finger gets sometimes eh? So I went out have a look with my sunglasses and camera. Of course the sun was still far too strong for me to be able to look directly at it even with the sunglasses so I tried to take some photographs. Nope that was no good either but I’ll post one of them here because a lot of people have said nice things about my photography and I just want to show that I do have some failures. 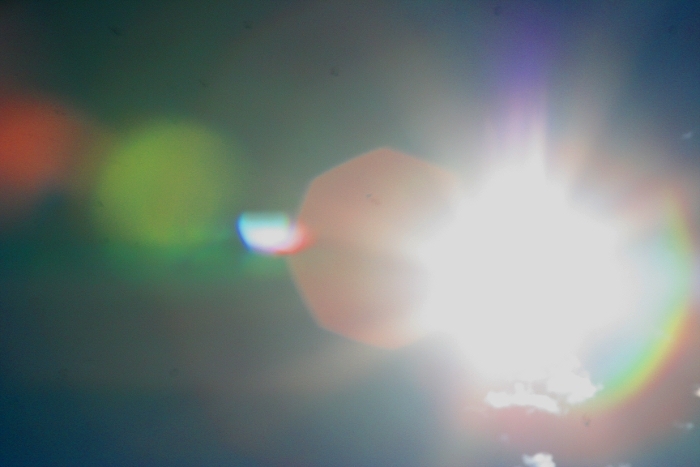 But one of the photos turned into a rather pleasing abstract what with the lens flare and the colours. I was walking at the back of the house on the penultimate day of 2010 and heard a buzzing sound. In spring you can often hear it if you are anywhere near the almond trees because of the number of bees around the blossoms, looking up I found that it was bees this time too. 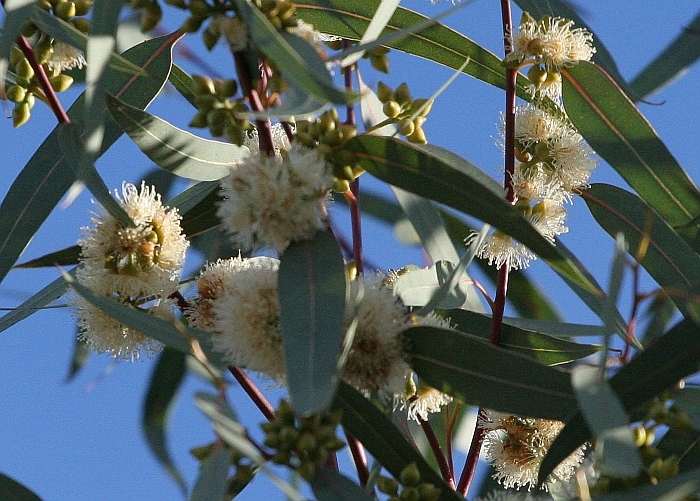 There are a couple of young eucalyptus trees that had their little white flowers open and the bees were having a fine old time buzzing around collecting the pollen. I’m going on a trip to France next week so look out for very different pictures before long.